Standard Australian Shepherds. AKC and ASCA registered. DNA tested clear on full panel through Paw Prints Genetics. View my website for more information. Black tris and blue merles available. Parents are tested clear on full panel through Paw Prints Genetics. Tails docked and dewclaws removed. Rockytop Hearts, I have been breeding for more than 20 years. Our breeding program focuses on producing dogs that excel as family pets, but also performance, show, and farm dogs. Our dogs are health tested for a full Aussie panel and OFA'd Hips/Elbows/Cardicac/Patellas. Give me a call, I love to talk about my dogs. Cuttingacres Aussies are devoted to showing and raising Healthy Happy wounderful dogs. Please explore my website and enjoy!! We show in AKC/ASCA Conformation. I am also on the board of 2 ASCA clubs. Home of ASCA & AKC Champion Bayouland's Sure 2BA Bonanza. All of our adult Aussies are Hip Certified by the "OFA" and DNA eye tested clear of CEA/CH, PRA, and the HSF4-Hereditary Cataract Mutation. 30 Month Written Health Guaranty. 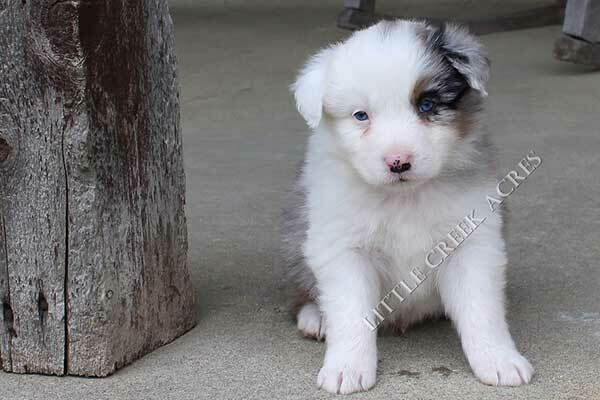 Visit our website to see our beautiful Blue Eyed Australian Shepherds. 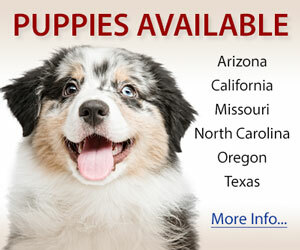 HoneyCreekaussies.com - Breeder of quality Australian Shepherds, farm raised and friendly, never kenneled. AKC Standard Aussies, Breeder of Merit member. A working cattle ranch for over 50 years. Aussies have been an integral part of our operation for this entire time. We only breed when we have orders for puppies. The parents are always our working partners, as well as our constant companions. We guarantee in writing the pups will go to stock. Preference given to working homes. Professional breeder of Australian Shepherds. Puppies available for therapy, service, agility, farm work, and companions. Our adults are OFA health and genetic tested to ensure a potentially healthier puppy for your family. Our dogs are raised and well socialized with people and animals such as: goats, chickens, cats, and small dogs. 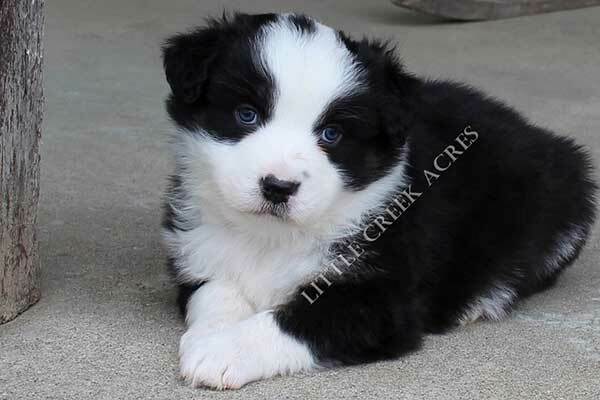 Sky Creek Aussies is a small hobby breeder of Australian Shepherds. We focus on raising high quality, healthy, happy Aussies with excellent temperaments while maintaining the breed standard and constantly trying to improve. I absolutely am infatuated and love this versatile breed. They are pure beauty inside and out! We enjoy our Aussies as our companions for hiking, swimming and competing in herding, agility, obedience and conformation. We breed once a year to hope to provide others with these wonderful, versatile, sound, fun-loving dogs. Temperament and structure are our main concerns, but ours just happen to also be beautiful! 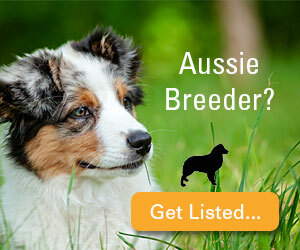 Quality Working Aussies with OFA, Eyes and all the extras to provide you with great dogs at reasonable prices. Standing ASCA/Int'l CH Dixiana's Dance Fever CGC, Champion sire. Home of HOF Dixiana's Dance King ROMX III. Check out our website to see what we are all about & for upcoming litters! We are a small kennel. Located one hour northwest of St.Louis. We have had Aussies for 20 years now. We breed for show /companion dogs. ALL our dog are a part of our family. PinOaks Kennel Aussies are healthy & well socialized. We have all colors available. All adults are OFA'd & CERF cleared, and registered with AKC and ASCA. Members in good standing in the following - AKC, ASCA, and ASCA of Mid-America. Please see our website for more info and planned litters. We live in East Central Missouri and are breeders of ASCA and AKC registered Australian Shepherds for all areas of competition. If you have any questions feel free to email us! ASCA & AKC registered, OFA & Eye CERF clear, all colors. Breeder of Champions, puppies available to approved homes.